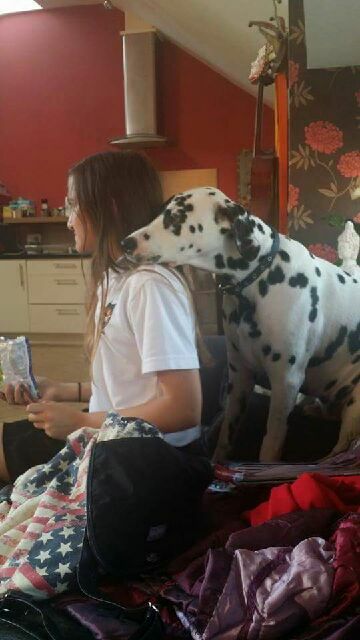 Dalmatians are very people oriented dogs, and would like nothing more than be at your side 24 hours a day! This is clearly not possible, so it’s important to make sure that they learn to become fairly independent. 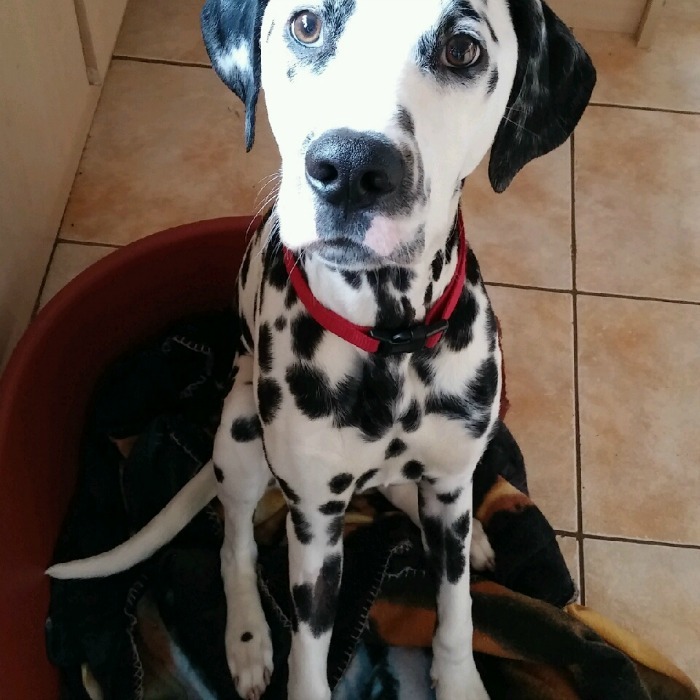 Separation anxiety is quite a common condition in some breeds of dogs, Dalmatians included, so what is the best way to prevent the possibility of this stressful occurrence? Stair-gates are very useful around the house; you can buy extra high gates, for dogs that can scale heights. These would be put into the doorways of the main social areas of the house. The idea being, that your dog would be the other side of the stair gate at times, whilst still being able to see into the room that you are in. Leaving them there with something to chew is ideal, as chewing is a very relaxing thing for dogs to do. Depending on how afraid he is you can plan the step-by-step training in different ways. As with all problems like this, you must remove the cause of the fear. In this case, the dog must not be left alone in the beginning. You have to find a solution, ranging from family members being with the dog, or finding a dog-sitter, or it may be possible to take your dog to work. Once the dog is less stressed about being left alone, you can begin to apply some training to the problem. You should begin by teaching the dog a visual signal – the palm of your hand held up toward the dog. First, use the hand signal while in a seated position. Then get up and sit right back down again. When the dog seems to understand the hand signal is an indication that you will return, you can proceed to use it when you go into other rooms in the house. Give your hand signal, walk through a door, and then come right back. Then do the same thing but close the door behind you, wait a few seconds and then come right back. Begin to lengthen the time you are “gone”, going from a few seconds to a few minutes. But always give the hand signal before you leave. The dog will learn that you will come back. The hand signal will also come in handy when you want your dog to stay in their bed. All dogs need a safe, quiet space that they can go to if they need some time away from the chaos in the house. It is always best to seek advice from a behaviourist about this issue, but time and patience is key, as it is a complicated condition to treat.